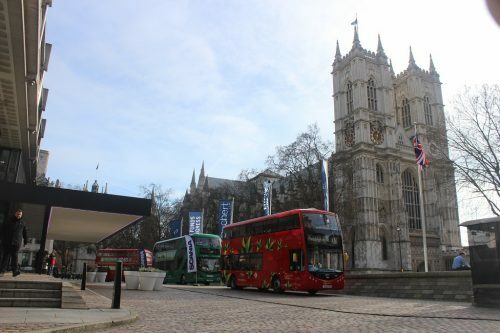 The UK Bus Summit returned to the QEII Conference Centre in the heart of Westminster on February 8 for its fourth year, with its proximity to the Houses of Parliament once again securing speakers from the Government along with the usual high-calibre bus industry managers. The main theme this year seemed to be the benefits of retrofitting, and how it can quickly improve air quality without the great expense of fleet replacement. Delegates came from a wide range of different backgrounds, with the largest delegation from local authorities, representing 26% of all attendees and showing that the summit is doing a good job of reaching the authorities with the power to implement many of the changes that bus operators have been asking for. While the subject matter was often serious, such as air quality concerns and the congestion threat, the conference was once again a light-hearted affair, with many speakers joking with the audience and each other. There was a real sense of amiability and the feeling that people were amongst friends, not just colleagues. 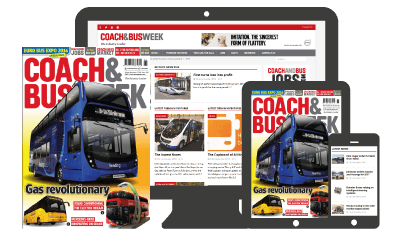 Transport Times CEO Professor David Begg introduced the event once again, highlighting the congestion problem which is the scourge of the bus industry and the fact diesel cars are the biggest source of NOx emissions.